The ponies of Equestria hold your beverage! This My Little Pony: Friendship is Magic Grid 16 oz. 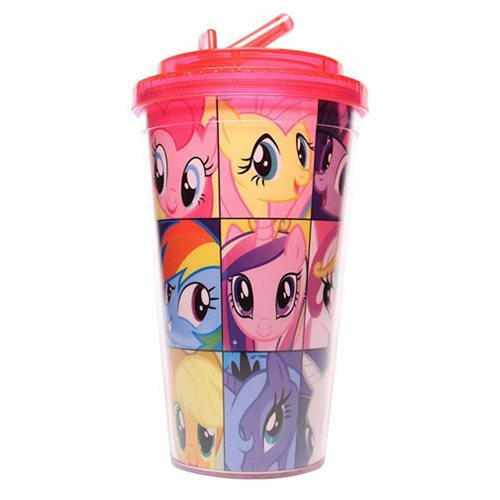 Flip-Straw Travel Cup features some of your favorite characters from MLP. Cup includes a built-in flip-straw for convenient, on-the-go drinking. Hand wash only. Not dishwasher safe. Do not microwave. Measures approximately 7-inches tall. Ages 13 and up.